We are taught to think that all forms of conflict are bad. Mothers will want to smooth things over when sons fight, or daughters squabble. Managers are the same. They want a quiet time, with everything nice and calm. This is ok if you want average. This is good, if you just want good enough. Keeping out of harm’s way, putting your head below the parapet, not wanting to get noticed, all of these thoughts are the result of poor thinking. Challenge yourself to be the best. Beat yourself up (a little) to shake off any comfort zone thoughts you may be harbouring. Being unhappy, or frustrated with the here and now forces us to think about the next step. Instead of trying to fix what is wrong in your department, think about what excellence would look like. What could we do to move towards this? What are the behaviours of excellence in your field? Go and find examples of the very best. I mean world-class examples, not just very good. What do they do? What is it that you do that they do not? What do they measure? Why do they measure those things? Send your team out to explore these areas to set them alight on this journey. You will only get real and lasting change with a sense of urgency within the team. Explain why it is urgent and why it is important. This brings people together with a common purpose in a powerful and compelling way. Look for “quick wins” that will maintain motivation. Listen to your team and their ideas to find a gem that you can complete easily or quickly to demonstrate progress. There is nothing more demoralising than when a team feels as though no progress is being made. Challenge your team and question them for sure. Raise the temperature at team meetings. Have tight schedules for meetings and keep the pressure on people who need it and always be there to support those who are willing to give it a go and need coaching and encouragement through the (inevitable) bad times. 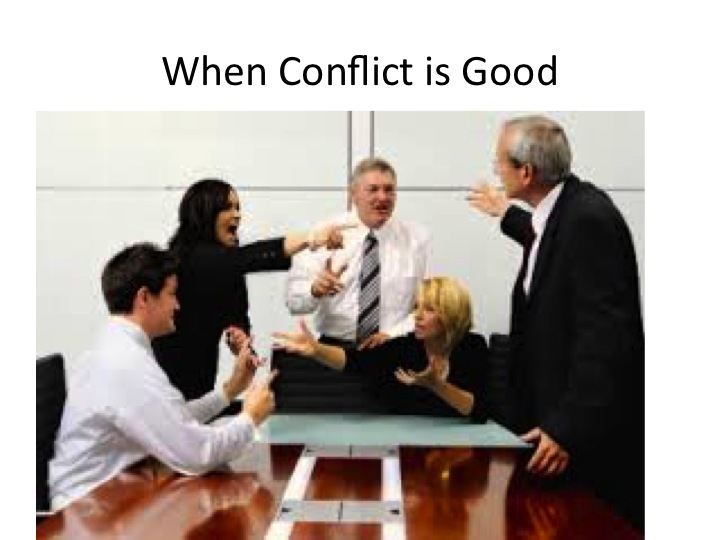 Motivating your team with creative conflict develops people by challenging them to superior performance, however you have to challenge yourself first. How badly do you want to be the best? This entry was posted in Change Management, Communication, Customer Service, Leadership, Performance Management and tagged coaching, conflict, decision-making, emotional intelligence, motivation, negotiation, Teamwork. Bookmark the permalink.